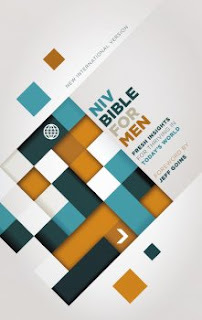 NIV Bible for Men Fresh Insights for Thriving in Today's World is fabulous! I love that this Bible is specifically for men. I've come across so many devotionals that are for women so I'm always thrilled to see ones dedicated to men since there aren't as many on the market. I love the design of this Bible and feel it's easy to work through. There's 260 devotions and each has 1-minute, quick topic summaries or deeper, 10-minute devotional experiences which is terrific. Another thing I absolutely love about this devotional is that it addresses issues that men struggle with. I highly recommend this NIV Bible for Men Fresh Insights for Thriving in Today's World! You can find NIV Bible for Men on Amazon and other bookstores. Follow the Zondervan on social media!